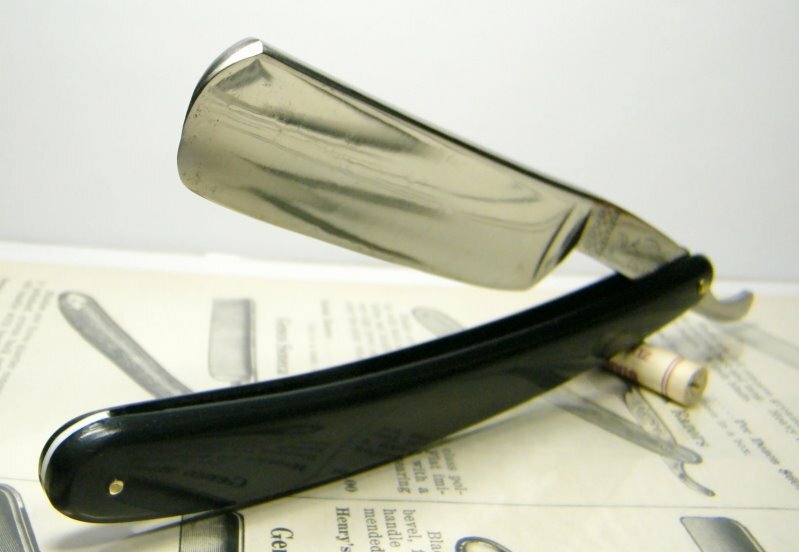 STRAZORS.com - all about classic razors - Colibri 70, Ch. Suy Louvain. 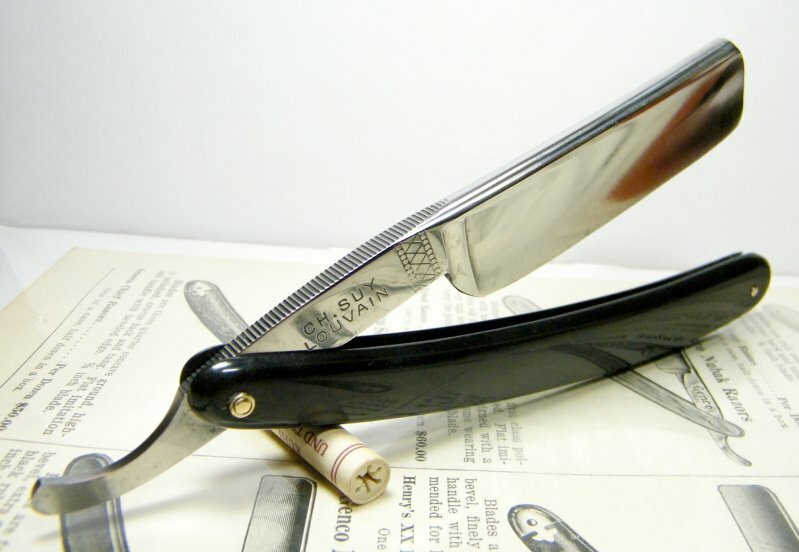 French forums attribute the Colibri to Charles Hake of Remscheid-Haddenbach because he was a German razor maker who made stock for the French Market under the name Charlex. 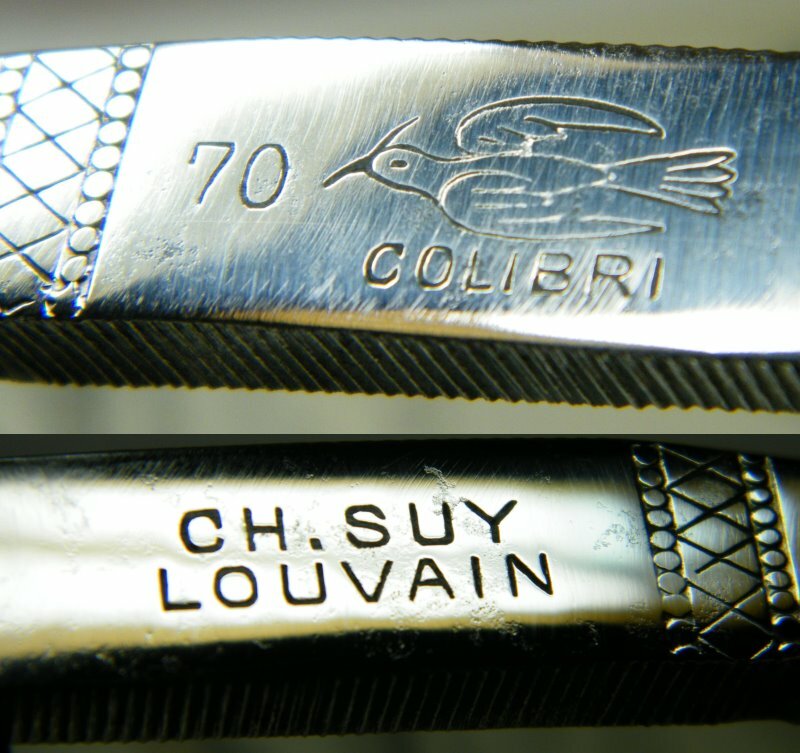 Also, the razors bearing Charles Hake's name are strikingly similar to the colibri ones. The blade is 7/8, round point, full hollow ground.